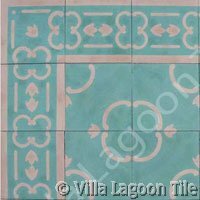 Discontinued - See our primary "South Beach Collection"
While we maintain this page as an archive, we have suspended the use of this studio. 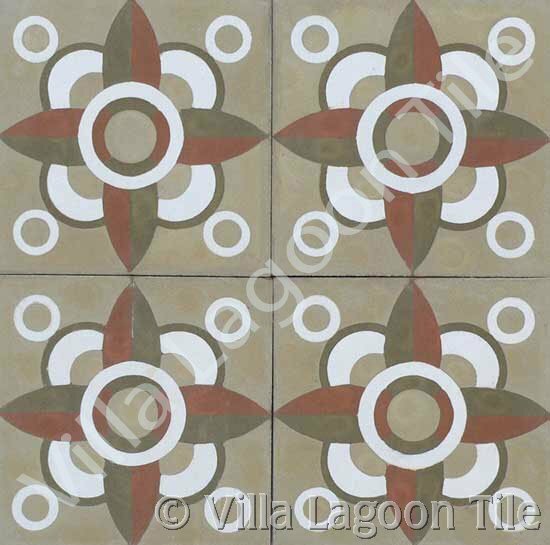 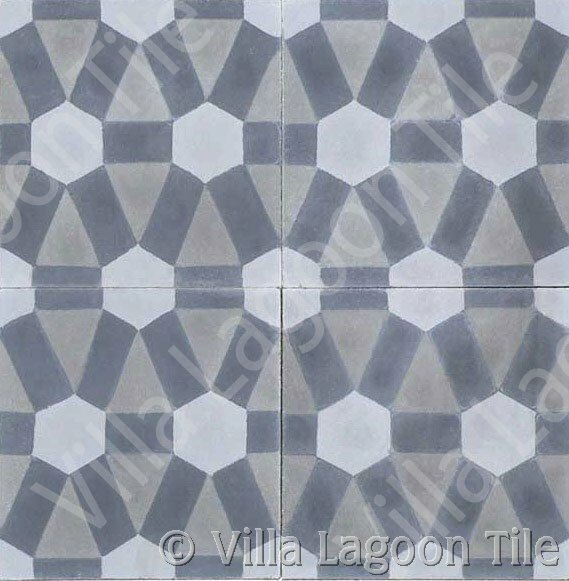 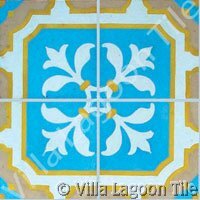 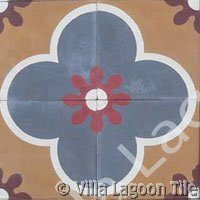 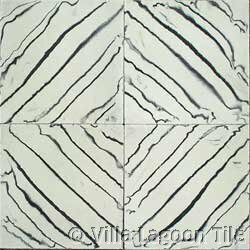 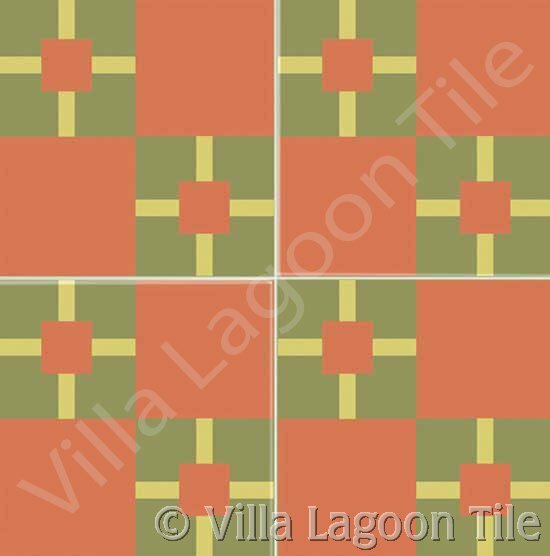 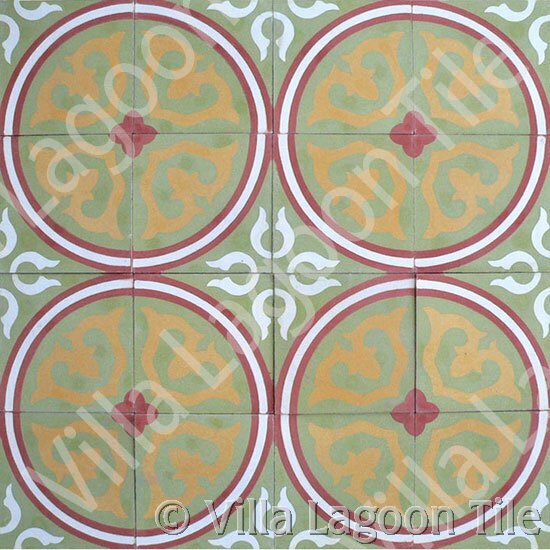 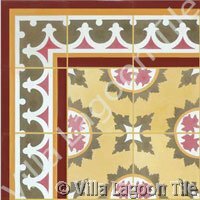 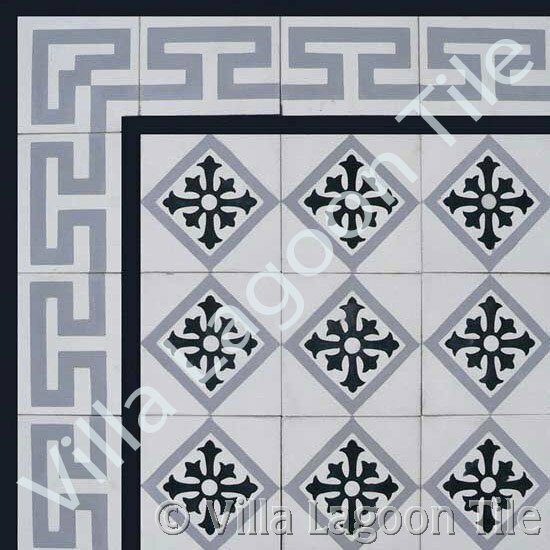 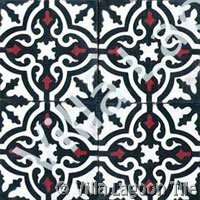 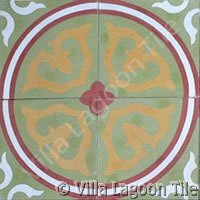 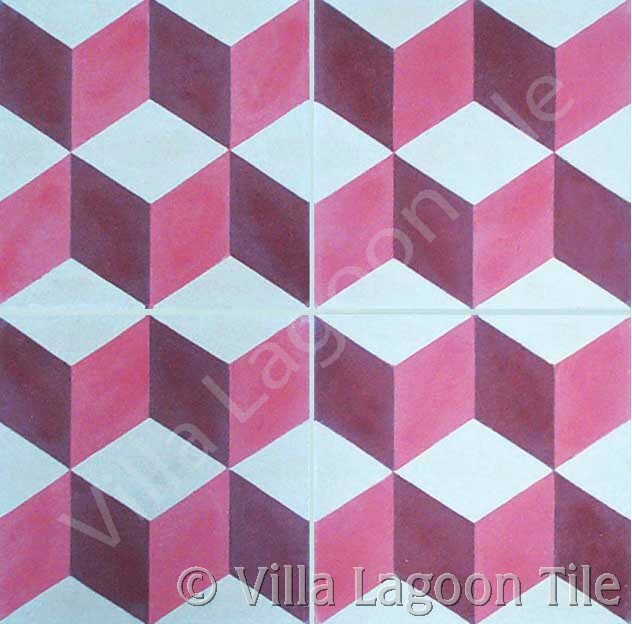 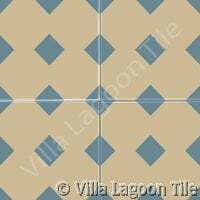 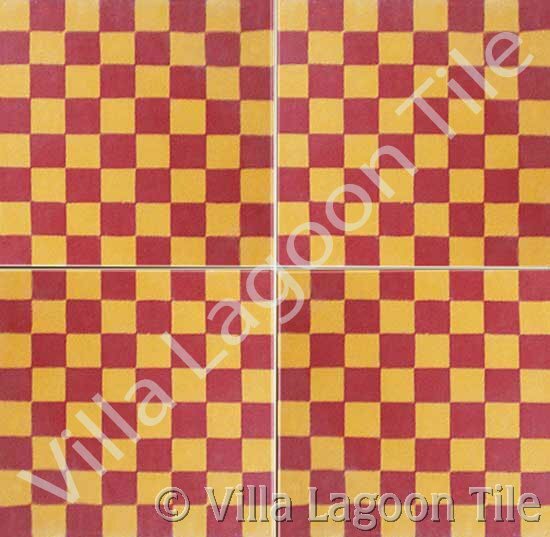 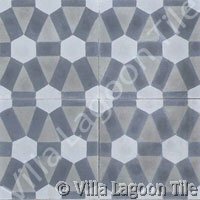 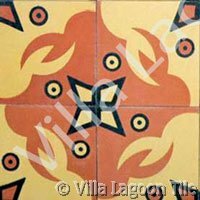 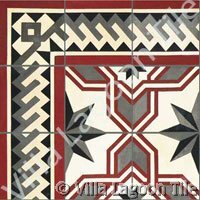 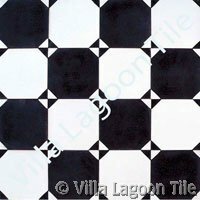 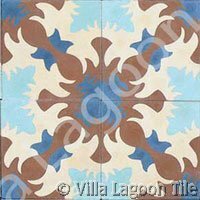 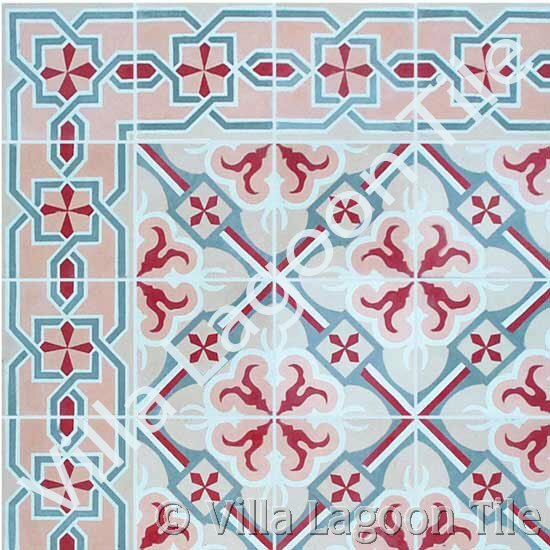 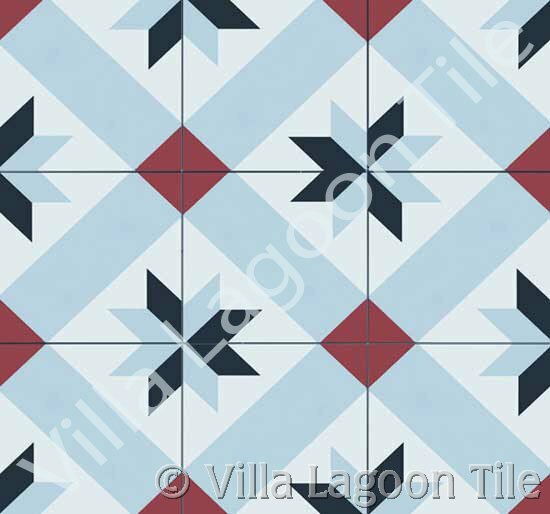 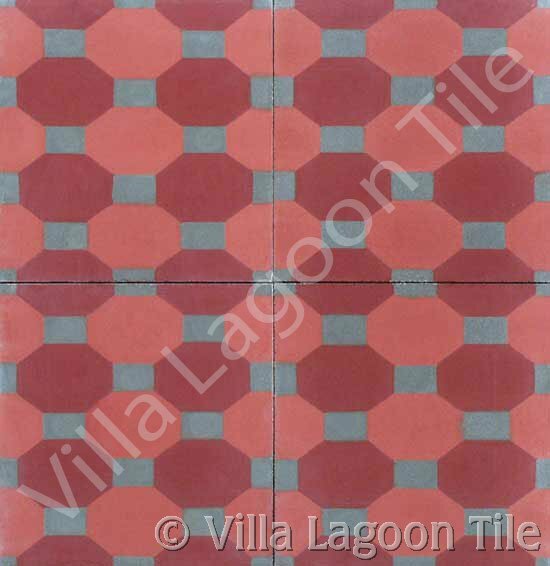 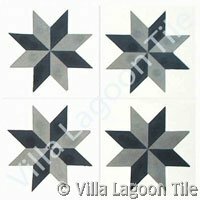 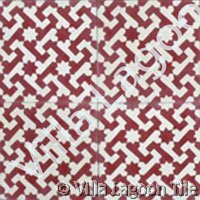 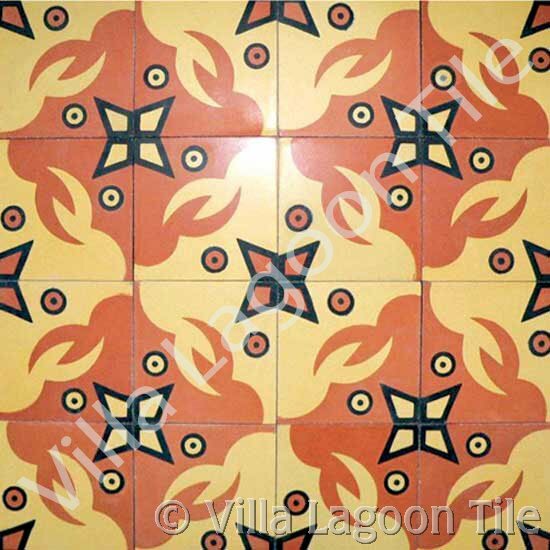 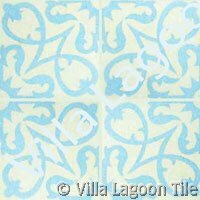 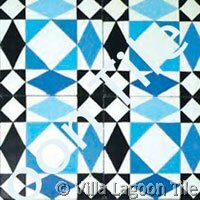 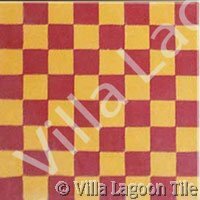 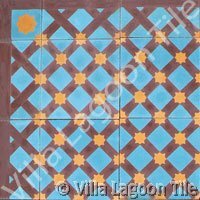 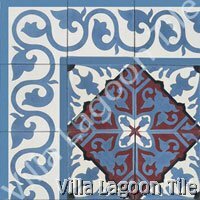 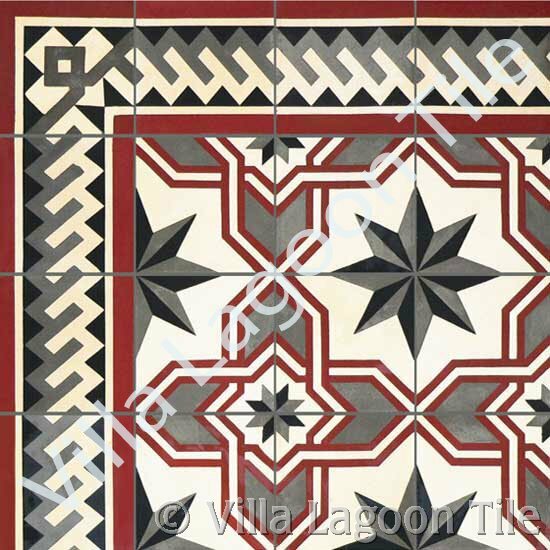 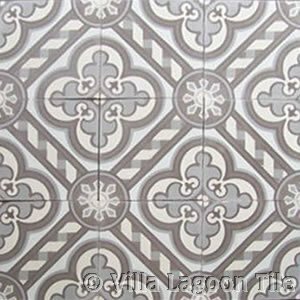 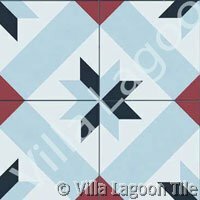 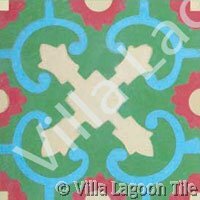 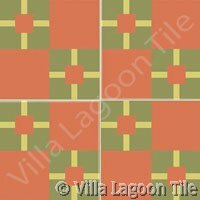 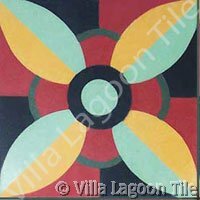 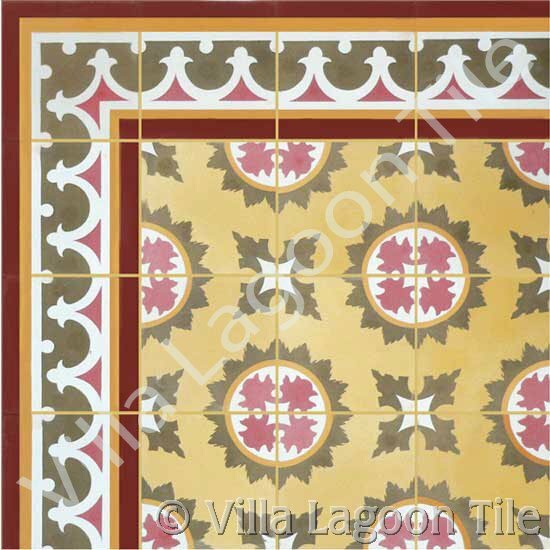 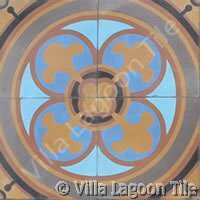 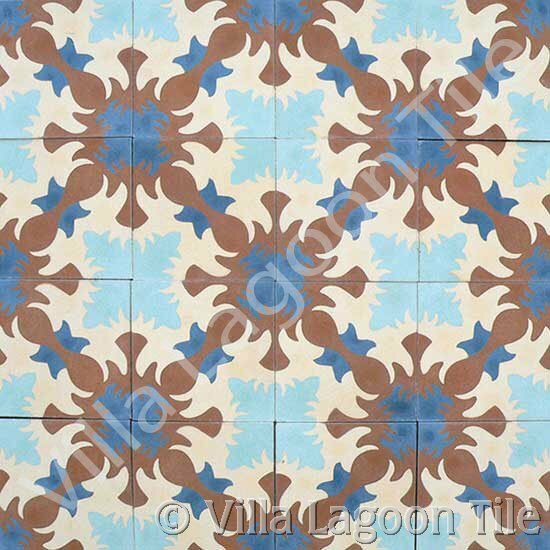 If your project called for the Caribbean Collection patterns or colors, please call us at 1-251-968-3375 or e-mail info@VillaLagoonTile.com to discuss your best alternatives. 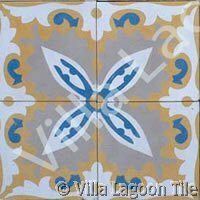 This beautiful tile was formerly a part of our in-stock selection, but is always available as custom tile in these or any of the Caribbean palette colors. 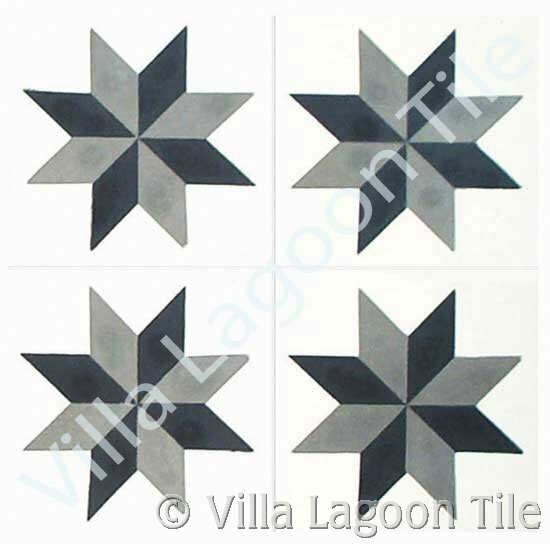 10" x 10" and 8" x 8" Tradewinds patterns. 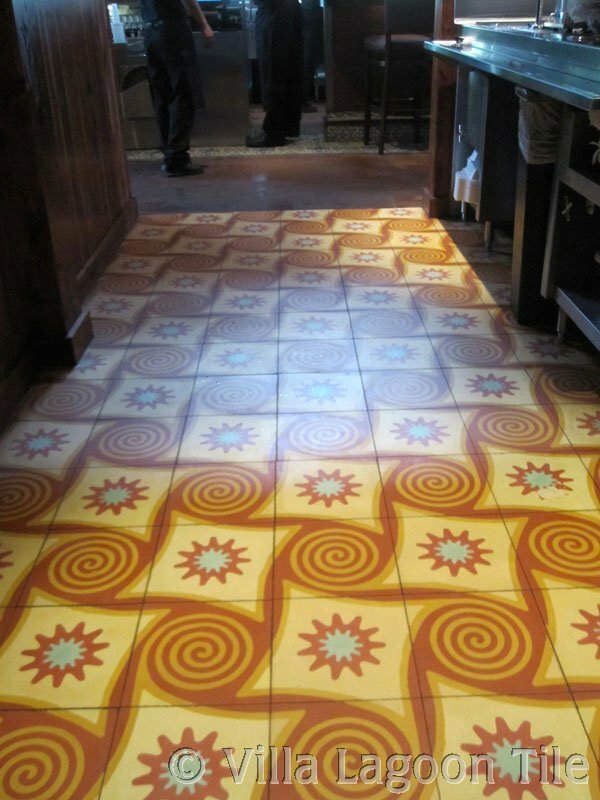 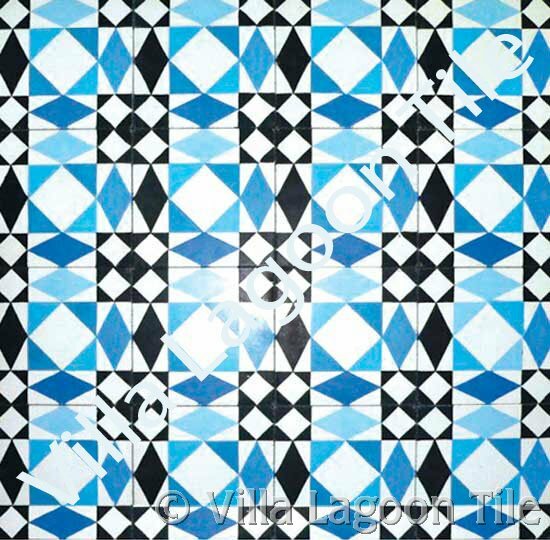 This pattern actually requires two different tiles, and can be seen on the floor of Houston's popular Gringo's Mexican Kitchen. 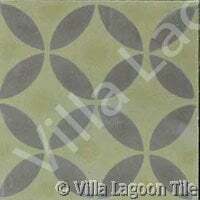 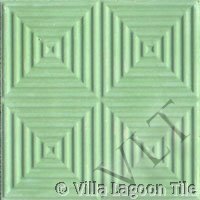 These tile are available as custom tiles in these or any of the Caribbean palette colors. 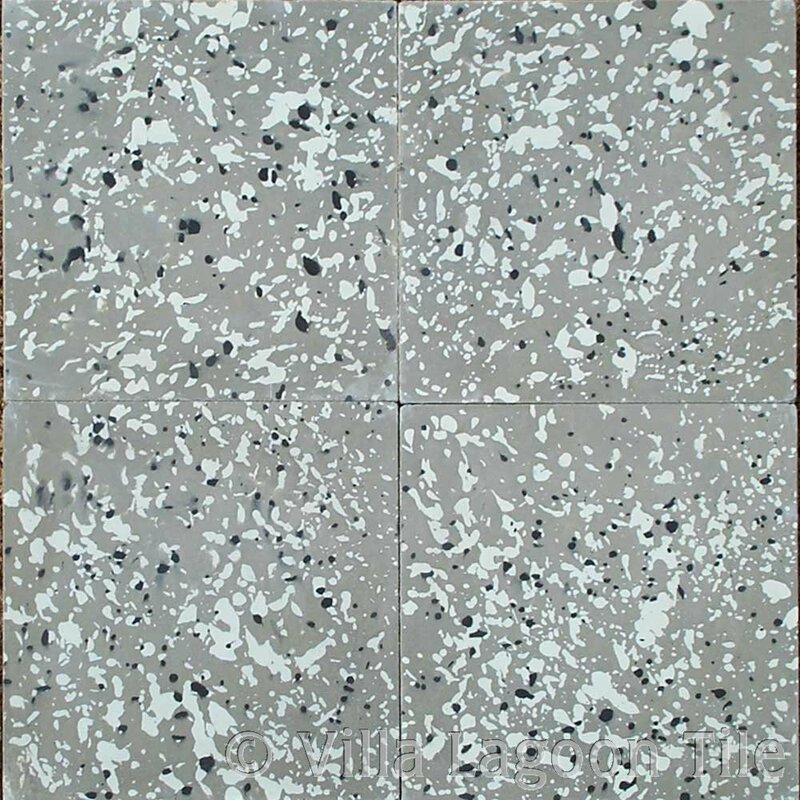 Click for an installation image. 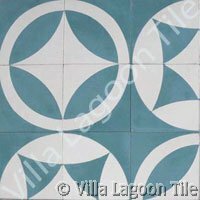 These tiles may be ordered in any color combination. 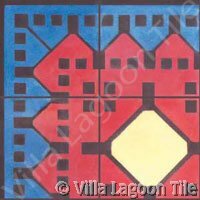 Ask us for a line drawing if you want to plan out your custiom tile. 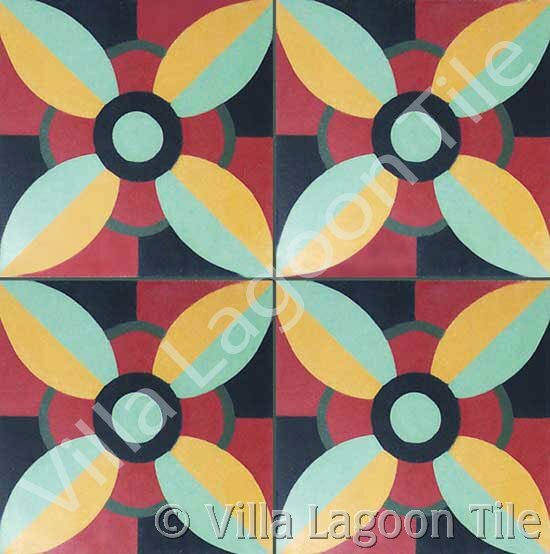 Order our tile in your choice of colors, See colors. 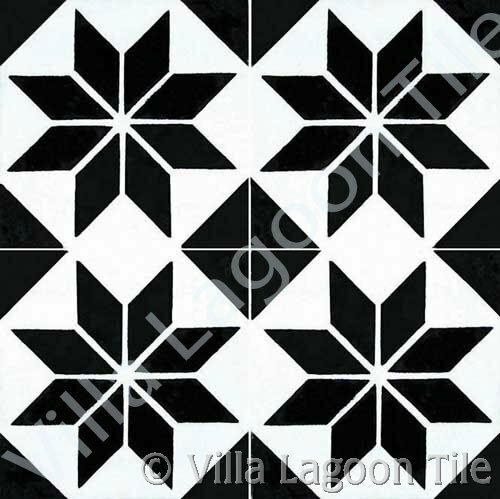 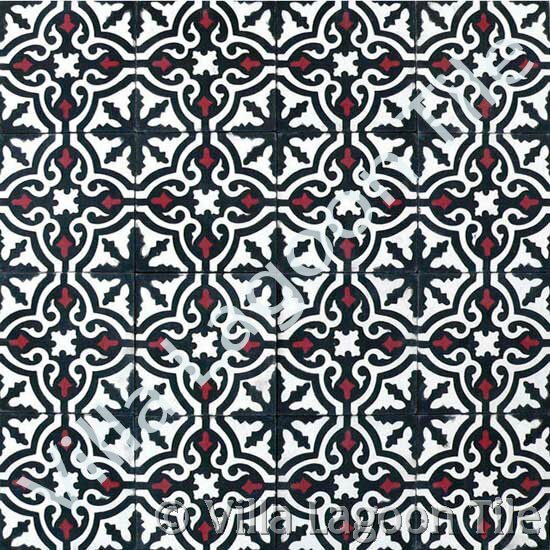 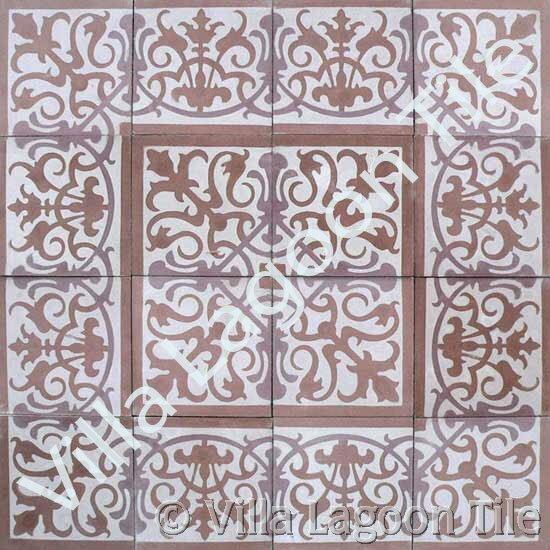 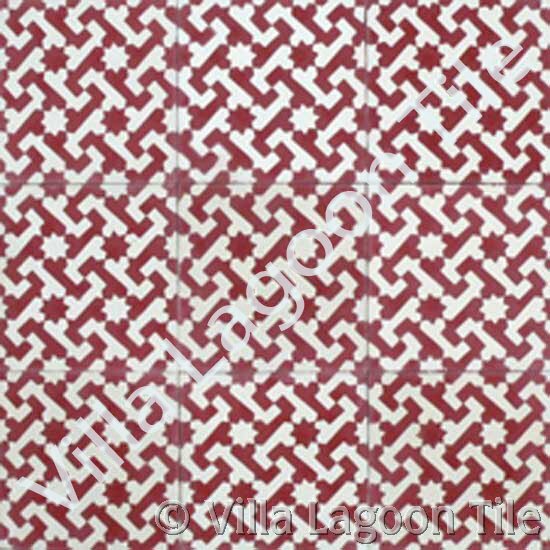 These old world styles of cement tile are the same designs that you often see in antique Cuban tile. 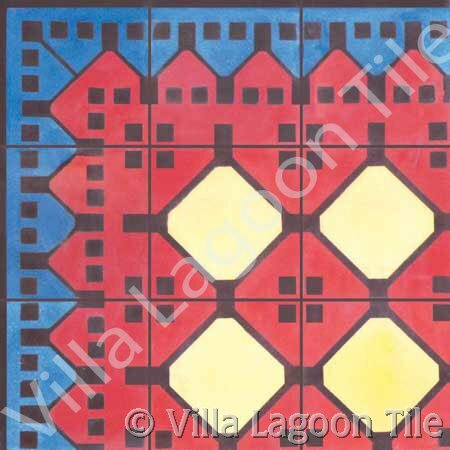 You can choose any color combinations you would like. 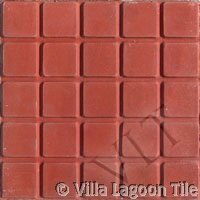 Imagine the possibilites. 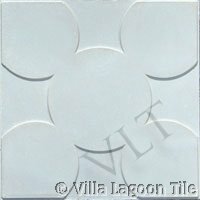 These tile are custom made to order. 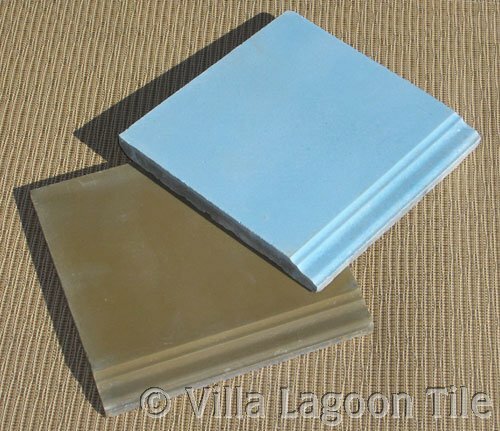 You can go tone-on-tone or create a wild hot-color splash using any of our many colors. 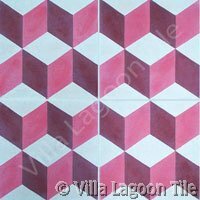 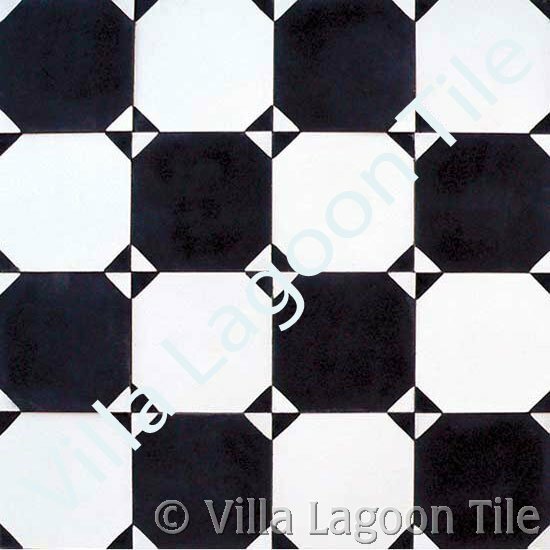 We can make these tiles in 8", 10" or Hexagonal. 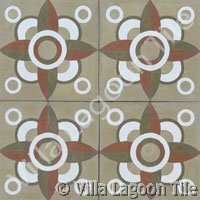 Click the tiles to see a larger image of four tiles. 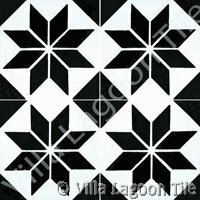 Some really exciting possibilities exist for using the Style B in carefully arranged configurations. 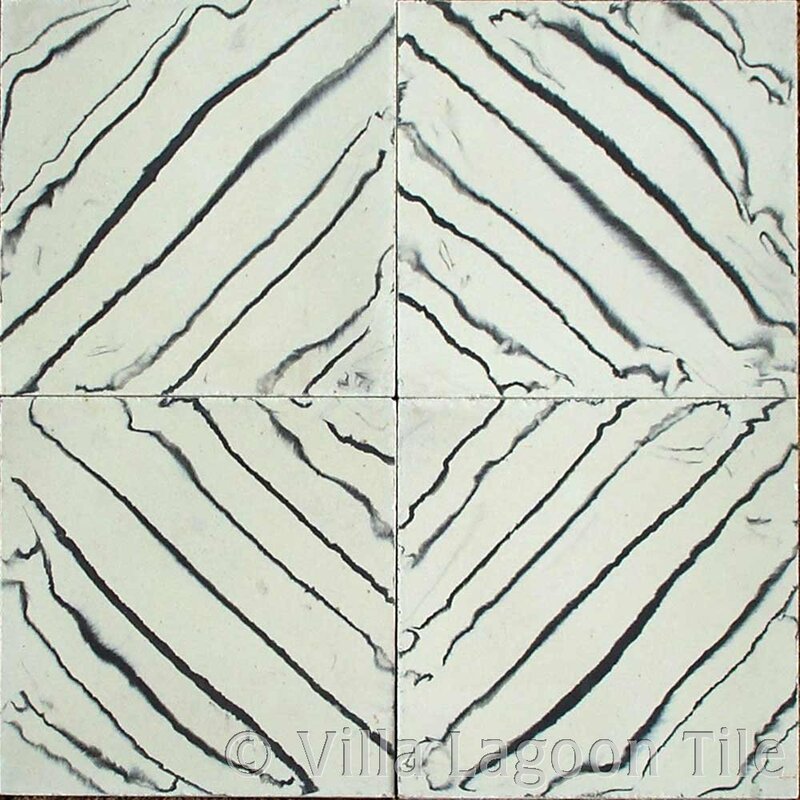 You can achieve a zebra look or the look of an ancient Ikat weaving. 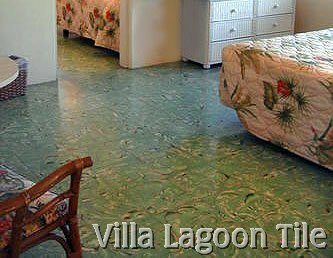 El Patio is a 30 room motel designed in the 1950's Art Deco style, with two levels surrounding a lush, tropical garden and fountain on the Atlantic side of Old Town Key West, two blocks from the beach and three blocks from world famous Duval Street. 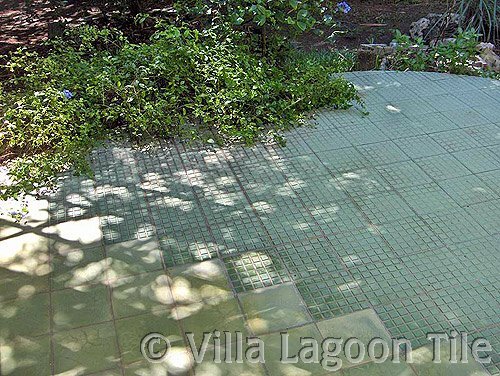 Pavers for Walkways, Pools, Patios, Driveways, etc. 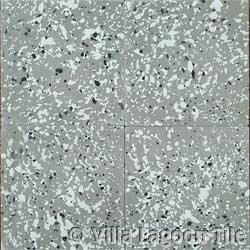 Tired of that concrete grey color for your walkways? 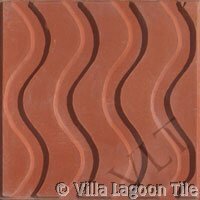 Pool decks? 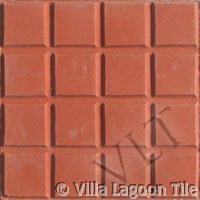 Pricancy walls? 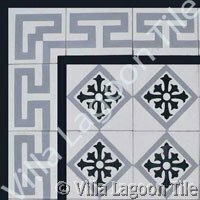 Check out these options!! 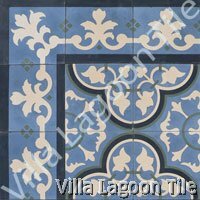 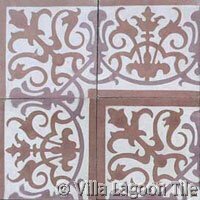 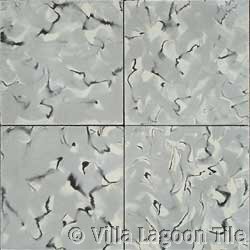 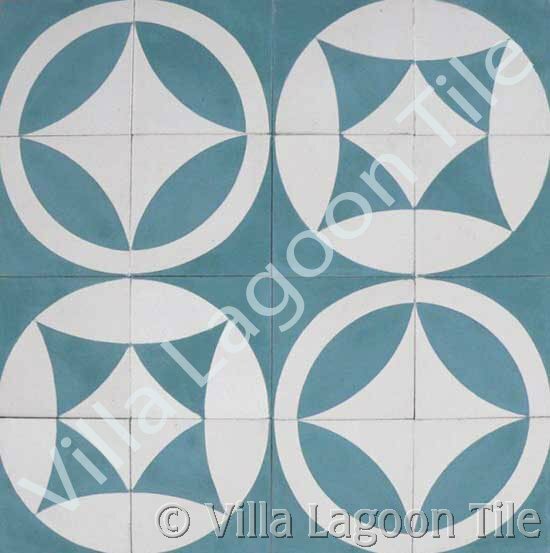 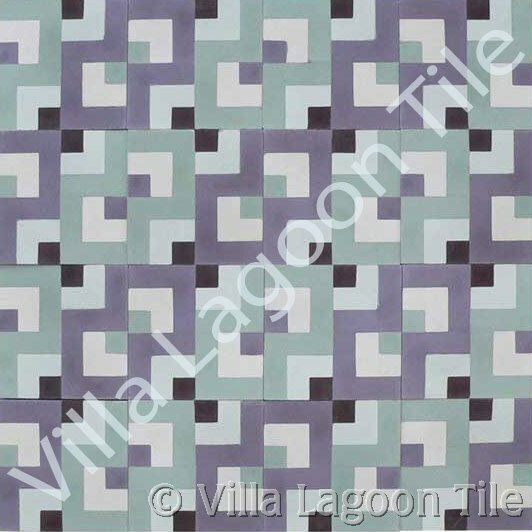 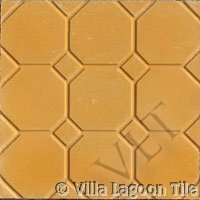 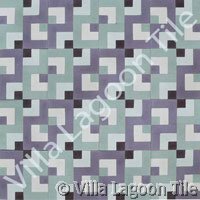 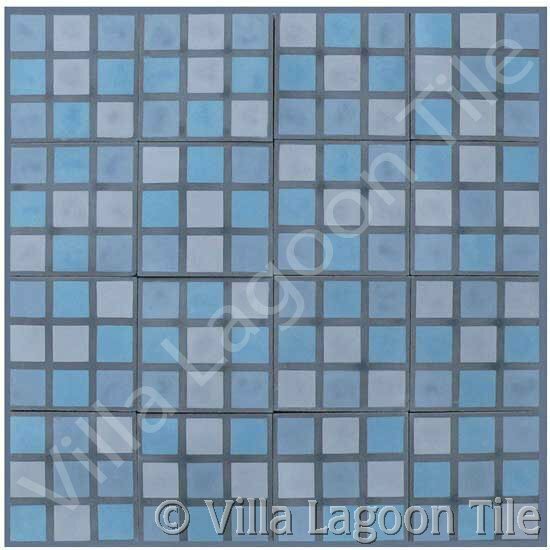 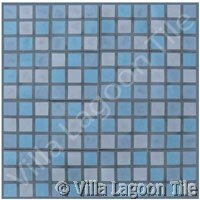 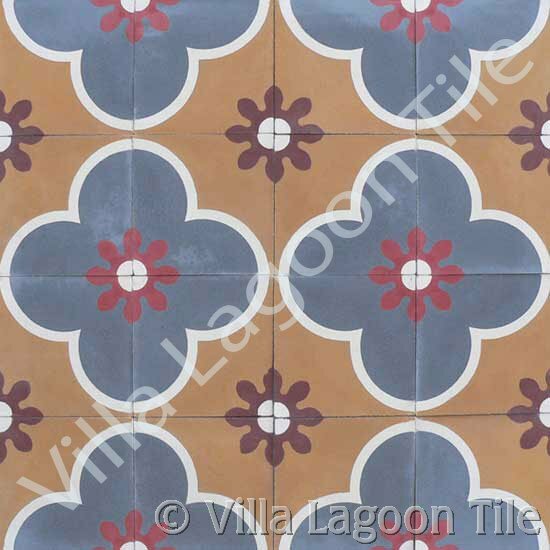 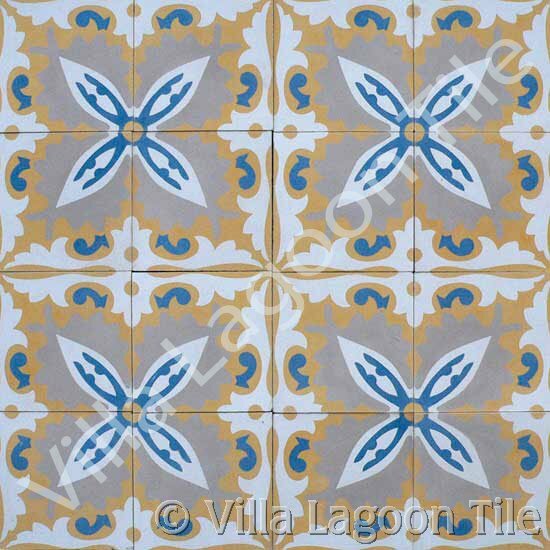 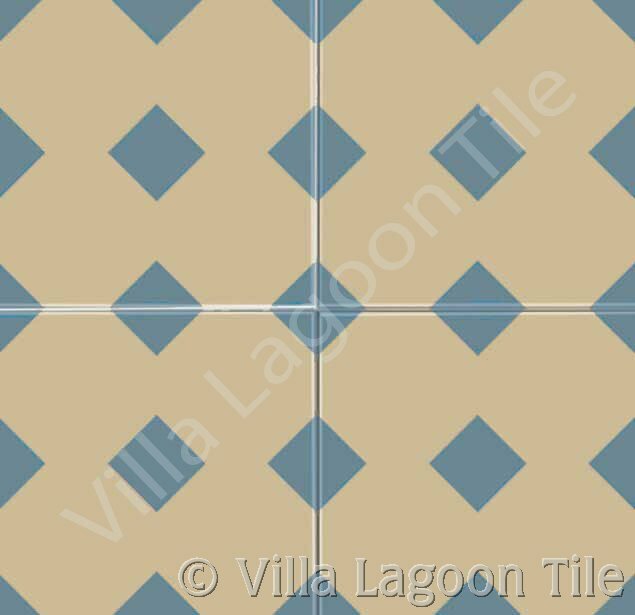 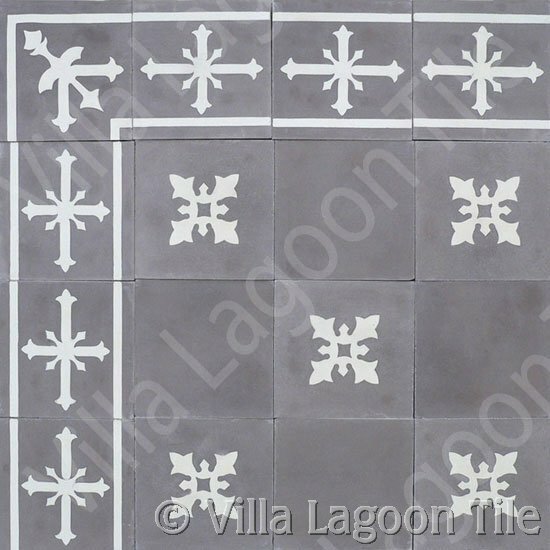 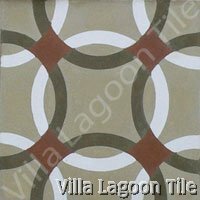 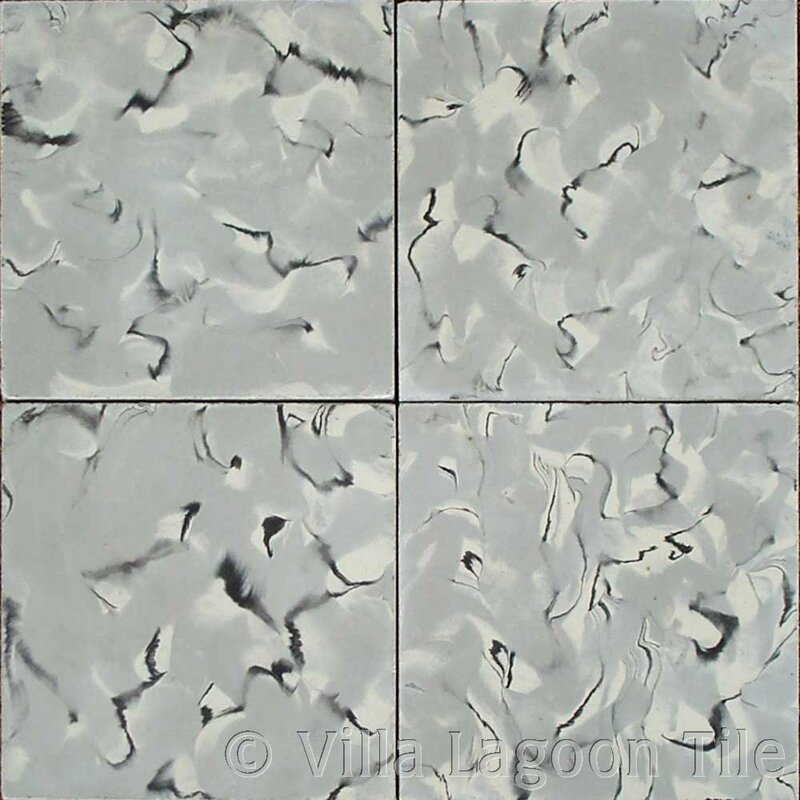 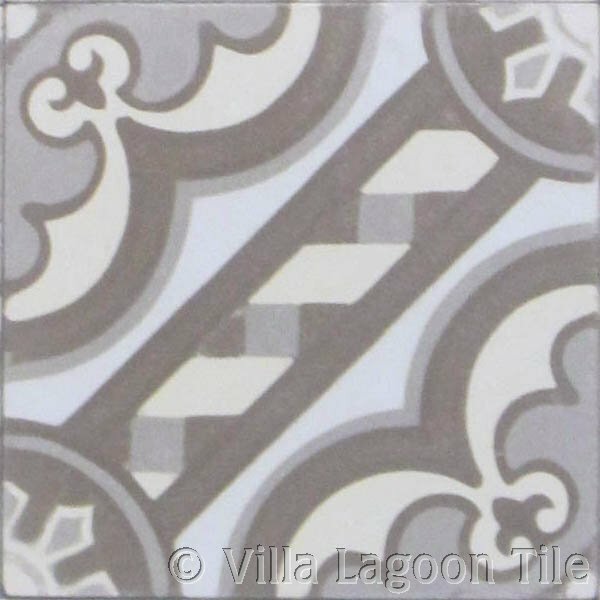 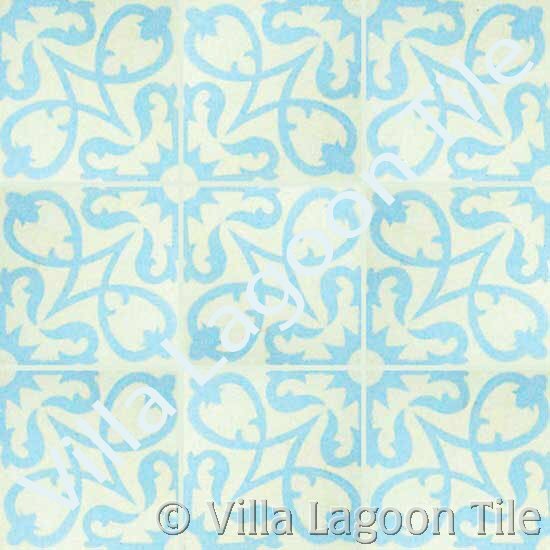 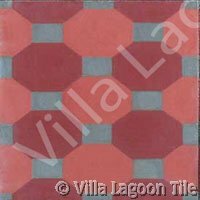 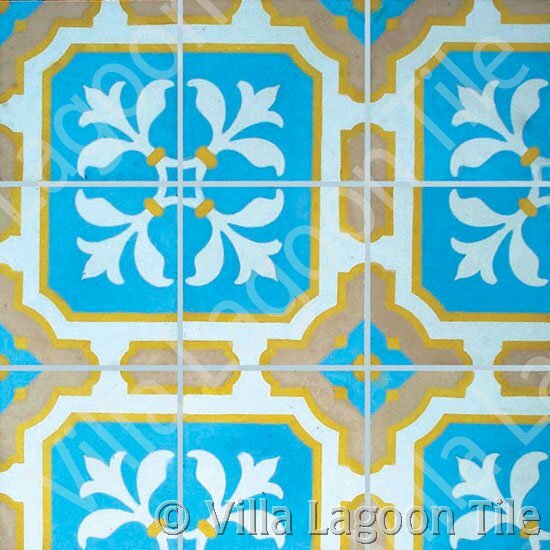 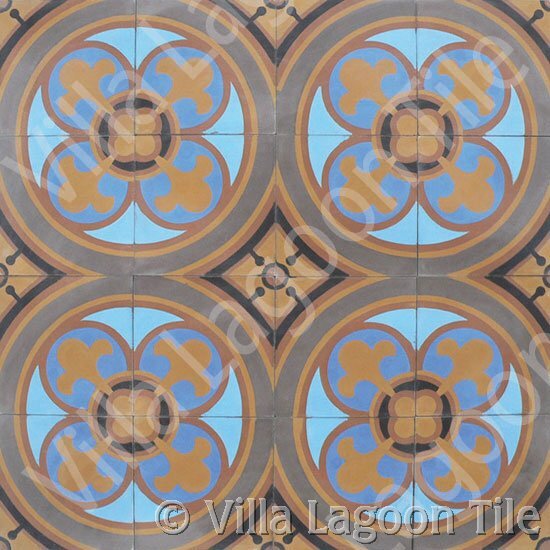 Villa Lagoon Tile offers a beautiful selection of textured relief cement tiles that are perfect for use around pools and hottubs or as walkways, patio coverings and privacy walls. 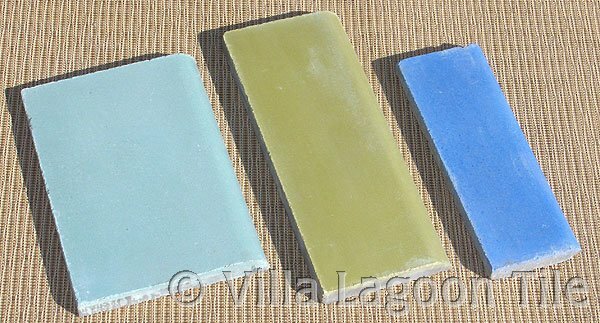 You can choose from any of the Caribbean Collection Palette colors... 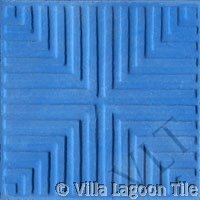 Imagine the possibilities!! 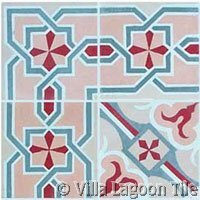 Use solid colors to create a path or mix it up and use complimentary colors to highlight and brighten up your home's exterior walkways or porches. 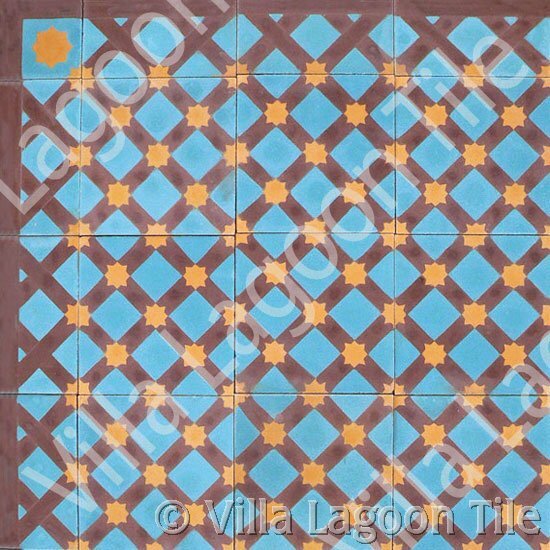 The tiles also make fabulous walls, such as on a privacy wall around your pool or poolhouse. 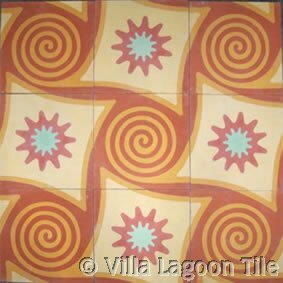 Around your hotub, Wow! 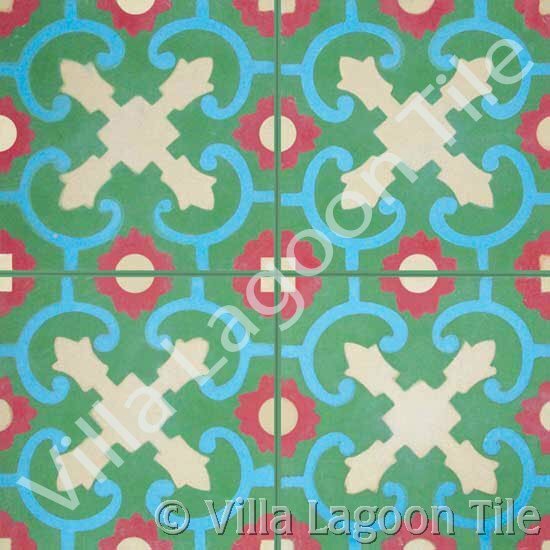 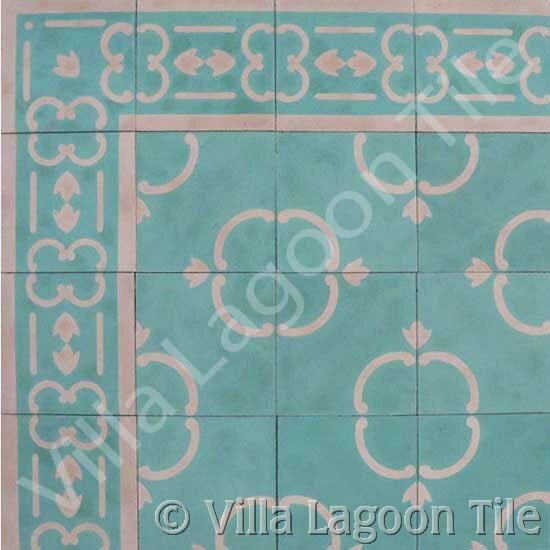 See our South Beach Collection relief tiles! 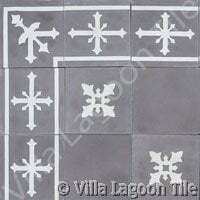 Have your driveway merge into your patio areas for large areas for entertaining.